UPPER SADDLE RIVER, NJ, June 4, 2018 – The Andrew Goodman Foundation signed onto a lawsuit late on Friday filed in federal court against Florida Secretary of State Kenneth Detzner. By joining the League of Women Voters of Florida and six university students as a plaintiff, The Andrew Goodman Foundation is challenging the Florida Secretary of State’s decision to prohibit the use of college and university buildings for early-voting sites in the state. Florida legislators lengthened early-voting times and expanded the list of possible early-voting locations after voters experienced long wait times during the 2012 election. Secretary Detzner’s interpretation of the new legislation in 2013 prohibited the use of public colleges and universities for early voting, creating a voting barrier for hundreds of thousands of young voters in Florida. 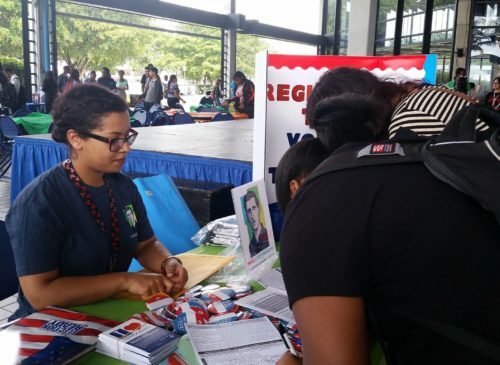 The Andrew Goodman Foundation has been trying to expand voting rights for college students in Florida since 2015 when it first brought its flagship Vote Everywhere program to the University of Florida (UF) and Miami Dade College. The Vote Everywhere teams identified a lack of early-voting locations on college campuses as an ongoing voting barrier and have met with multiple elected officials over the years in an attempt to alter Florida’s law, but were unsuccessful. The issue received public attention after Megan Newsome, Vote Everywhere Team Leader at UF, wrote an op-ed for The Gainsville Sun in November of 2017 about Florida’s restrictions on early voting opportunities at public institutions of higher learning. In the op-ed Newsome explained that the Secretary of State’s decision created a huge barrier to student voting. 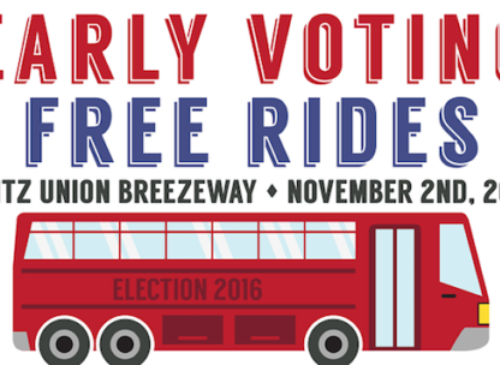 Unless students have access to a vehicle, casting a ballot often means a long walk to the nearest polling site or riding for an hour on multiple buses. Newsome’s op-ed caught the eye of Guy Cecil, UF alumnus and the chairman of Priorities USA Foundation, a nonpartisan nonprofit dedicated to expanding voting rights in the United States. On May 22, 2018, Priorities USA Foundation helped Newsome, now joined by five other students, including UF Vote Everywhere Ambassador Jaime Roy, UF students Amol Jethwani, Dillon Boatner, Anja Rmus, and Florida State University student Alexander Adams, and the League of Women Voters of Florida, in filing a lawsuit to expand students’ access to the ballot box in Florida. Last Friday, The Andrew Goodman Foundation joined the litigation as a plaintiff. If successful, the lawsuit will be the first step in removing a voting barrier that will expand voting rights for hundreds of thousands of students. “Students deserve to have their votes counted just like everyone else. That’s why we’re defending the voices of students across Florida, who have had trouble getting to early-voting locations,” says Newsome. Continuing in the footsteps of Andrew Goodman, a young Freedom Summer volunteer murdered by the Ku Klux Klan in Mississippi in 1964 while trying to register African Americans to vote, The Andrew Goodman Foundation is committed to expanding voting rights for all citizens. “My brother Andrew believed that everyone deserves equal access to the ballot. That is why we felt compelled to get involved in this nonpartisan initiative. 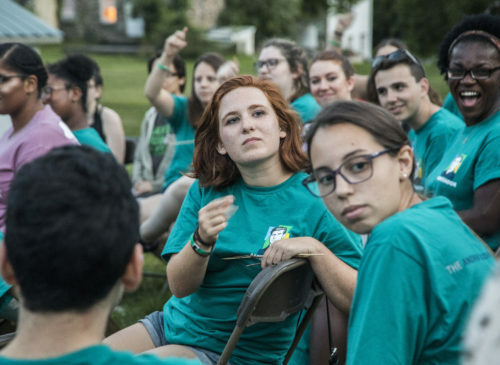 We wholeheartedly believe that young voices are a special and important part of our democracy, and there should be a concerted effort to expand their participation,” says President of The Andrew Goodman Foundation, David Goodman. The Andrew Goodman Foundation’s Vote Everywhere network is home to 56 colleges and universities, with a population of approximately one million students. Our student Ambassadors work with their campus communities to educate, register, and turn out student voters, identify and remove voting impediments, and advocate for policy changes that create a more inclusive democracy. For more information please visit www.andrewgoodman.org.